Do you see a brain...or a hamburger bun? 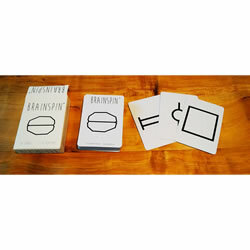 Quickly start a laughter-filled conversation and get to know folks with this simple card game! Your friends' brains will delight you as the simple shapes on the cards inspire vastly different interpretations.